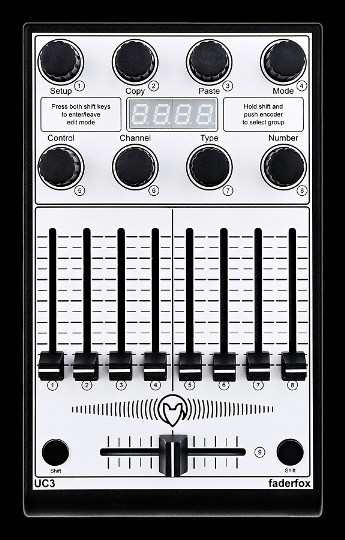 UC3 is a universal controller for all kinds of midi controllable software on Mac, PC and iPad. 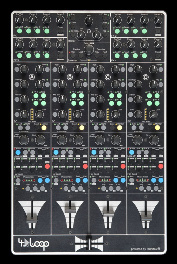 a total amount of 136 control parameters. All controls are independently programmable very fast and easy by a small display. assignable. So any additional device programming isn’t necessary for many applications. 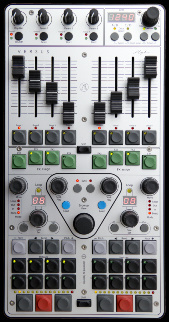 Last but not least the UC3 is also a great extension for your Ableton Live setup. 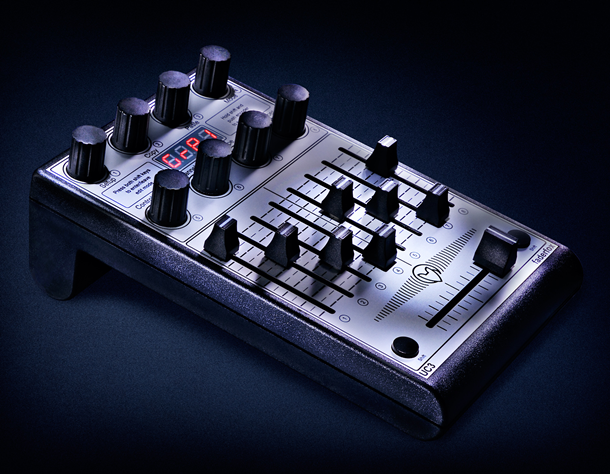 A special control surface script for Ableton Live 8 / 9 is enclosed in the package. 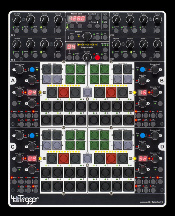 With that script you can also use two UC3 devices to control up to 16 tracks simultaneously.